We made it through the holidays and are focused on New Year’s resolutions like getting healthy, losing some weight, and finding more time to exercise. Next thing you know, up sneaks the sweetest holiday of the year, Valentine’s Day. It’s no surprise that Valentine’s Day and chocolate are a match made in heaven. As a matter of fact, according to History.com, approximately 58 million pounds of chocolate candy and 36 million heart-shaped boxes of chocolate are bought during Valentine’s Day week each year. 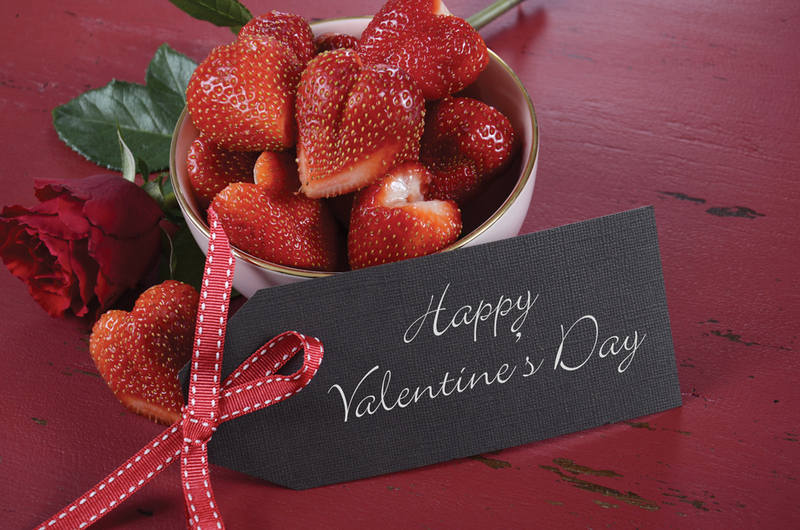 So, what can you do to show your fondness to your sweetie on this special day while caring for their health and well-being? There are lots of healthy options like fruit baskets and non-edibles, but if your heart is set on showing your sweet side with chocolate, read on. According to a study published in the Journal of the American Heart Association (JAHA), researchers found that eating raw almonds with dark chocolate and cocoa significantly lowered the LDL (or bad) cholesterol for overweight and obese people. The findings might not apply to everyone. For the small study, researchers followed 31 overweight and obese participants between the ages of 30 to 70. During the first month, participants didn’t eat any almonds, dark chocolate or cocoa. In month two they ate 42.5 grams of almonds per day, and in the third month they ate 43 grams of dark chocolate combined with 18 grams of cocoa powder. In the fourth – and final – month, participants ate all three foods. The results showed that eating almonds alone lowered LDL cholesterol by 7 percent, and the combination of the three reduced small, dense LDL particles that are a risk factor for heart disease. Past research has shown health benefits of eating almonds, dark chocolate and cocoa, but this new study focuses on the health benefits for overweight and obese individuals. Unfortunately, caramel and nougat were not included in this study. So, does this mean you can go hog wild on these snacks? That’s a negative, ghost rider. For this study, those grams equal out to small portions: nearly one-third a cup of almonds, one-quarter cup of dark chocolate and 2 1/3 teaspoons of cocoa per day. According to the lead author, Dr. Penny Kris-Etherton of Penn State University, people can have around 270 discretionary calories each day. We should use those snack calories for something that’s tasty and good for our hearts, rather than focusing on snacks with added sugar. Go ahead, give your heart to those you love, and love their heart by considering healthier options like dark chocolate covered almonds in moderate amounts, paired with some of your favorite red fruits such as strawberries, apples, pomegranates, and raspberries. It’s still a sweet treat that’s sure to say ‘I love you’ in more ways than one. An estimated 28.5 million adults have total cholesterol levels above 240 mg/dL. This could place them at a greater risk of heart disease and stroke. New research shows that long-term exposure to even modestly elevated cholesterol levels can lead to coronary heart disease later in life. Eating a healthy diet is a key factor for lowering your cholesterol. If you’re one who likes to snack at work, small amounts of almonds, dark chocolate and cocoa may help get you through your day. The American Heart Association is devoted to saving people from heart disease and stroke – the two leading causes of death in the world. We team with millions of volunteers to fund innovative research, fight for stronger public health policies and provide lifesaving tools and information to prevent and treat these diseases. The Dallas-based association is the nation’s oldest and largest voluntary organization dedicated to fighting heart disease and stroke. To learn more or to get involved, call 1-800-AHA-USA1, visit heart.org.